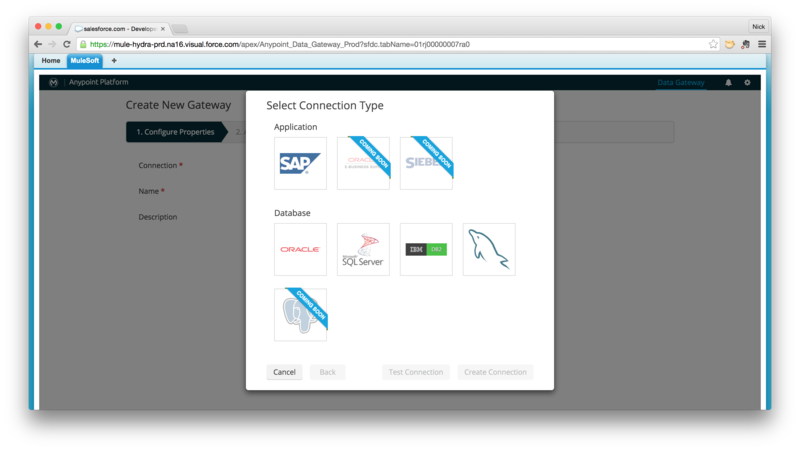 Anypoint Data Gateway allows users to configure vs. program read-only connections to 5 vital data sources: SAP, Oracle databases, Microsoft SQL Server, IBM DB2 and MySQL. The operative term is “configure” because users don’t necessarily need deep technical skills to use Anypoint Data Gateway. 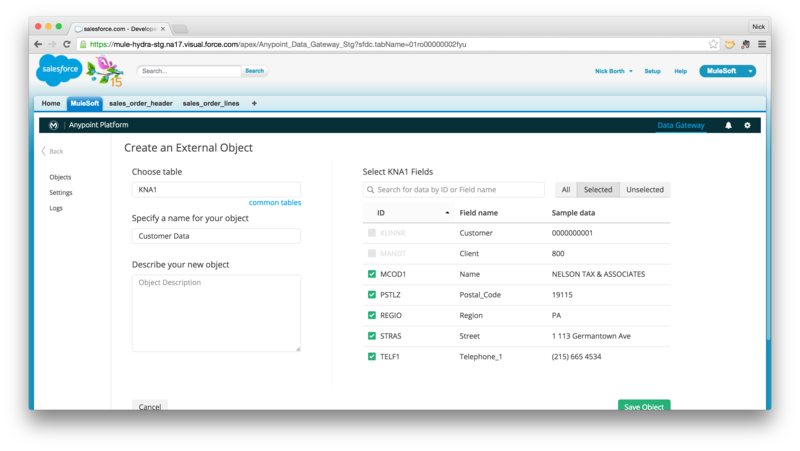 An easy-to-use design environment in Salesforce and guided configuration allows Salesforce admins, business analyst, and other non-technical users to view the data they need. You are able to configure a connection to a supported data source in order to establish the underlying “dial tone” for a Data Gateway. 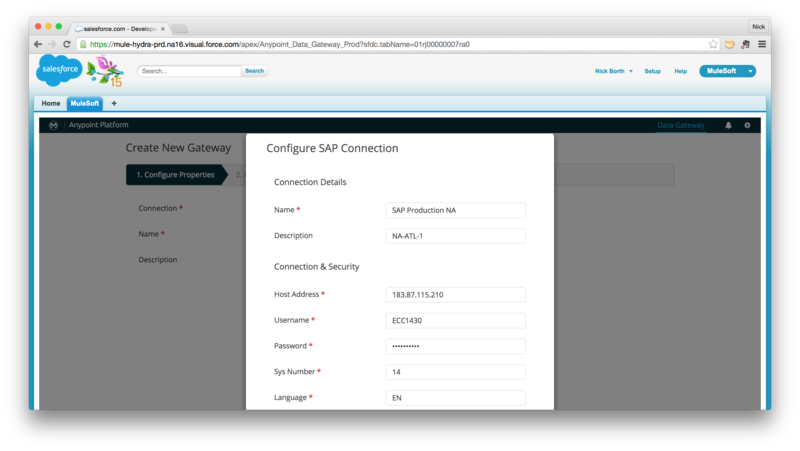 You are able to navigate database tables, and related fields to assemble external objects on the fly. In addition, IT gains a greater level of control regarding what data is made available for consumption by end users. Here, objects are designed to include a schema of must-have information only. 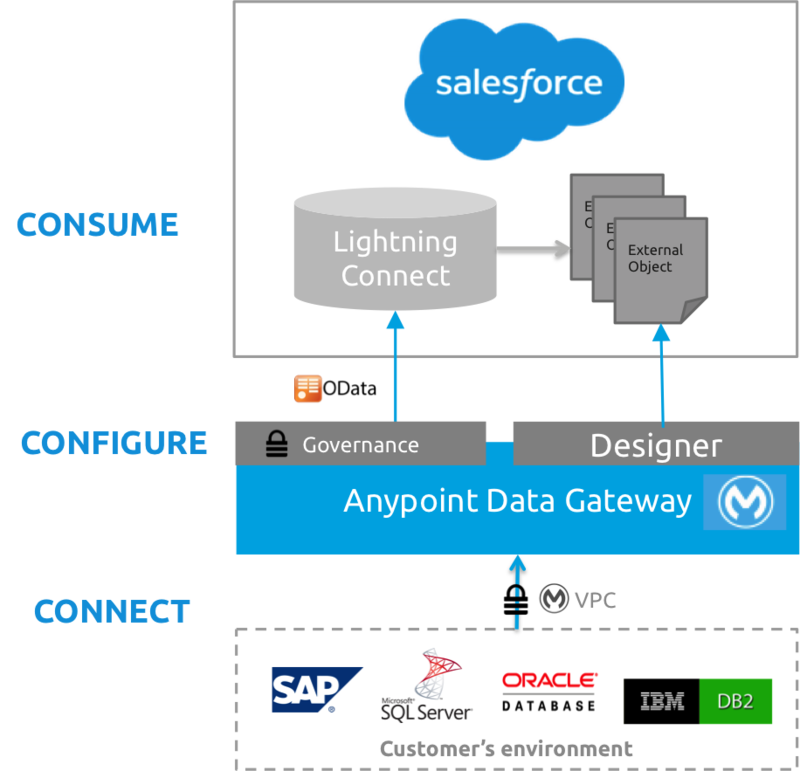 Couple this with the fact that Salesforce Lightning Connect is predicated upon the principles of data virtualization, and organizations begin to shift their integration model from synchronization of all/many in the hope of covering the needs of a few, to on-demand queries, that are consumed real-time, and include only the relevant information that a user requires in that moment. On-premises connectivity through Virtual Private Cloud (VPC) – what better way to connect the cloud to your environment? 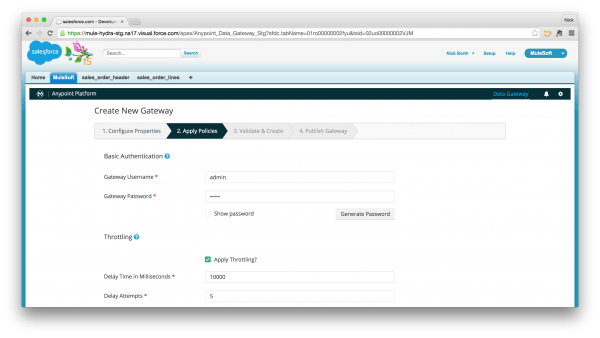 VPC allows you to establish hybrid cloud-to-on-premises through VPN, so you don’t have to expose your ecosystem to the vulnerabilities associated with opening a port or making a data source publicly addressable. 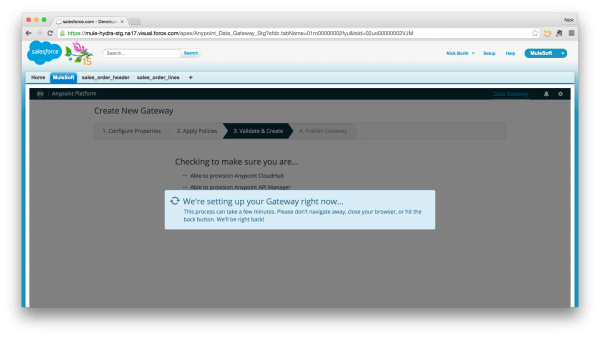 Moreover, you avoid the fragile nature of agent-based approaches, where a desktop/server agent is installed and communicates with the cloud via reverse proxy. 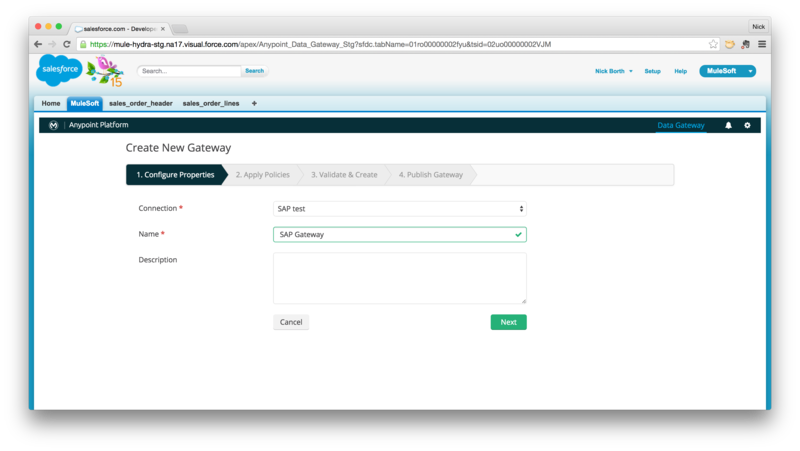 Providing additional security, Anypoint Data Gateway harnesses the power of the Anypoint Platform for APIs to provide basic authentication and throttling as management policies that can be applied to your gateway’s OData service – layering an additional level of protection on your data. Have we piqued your interest? 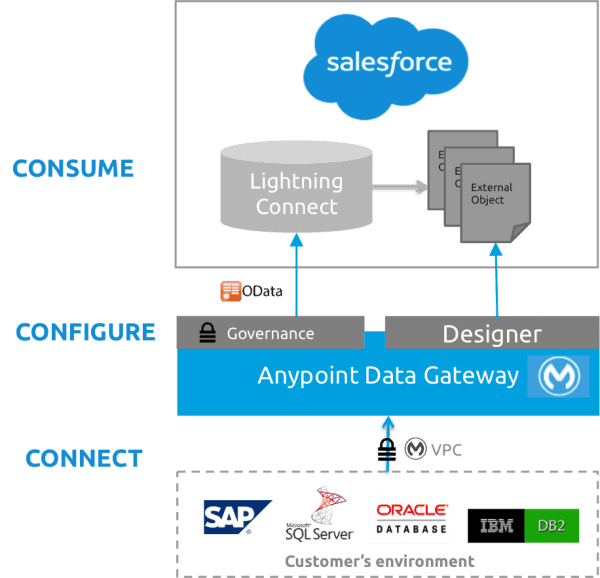 Are you ready to democratize your data, and accelerate Salesforce integrations through Lightning Connect + Anypoint Data Gateway? Check out and install the product on AppExchange, and register for Anypoint Platform, including CloudHub and the API Platform.